The Minimum System Software for the 6100/66 is 7.5, and the Gestalt ID is 100. 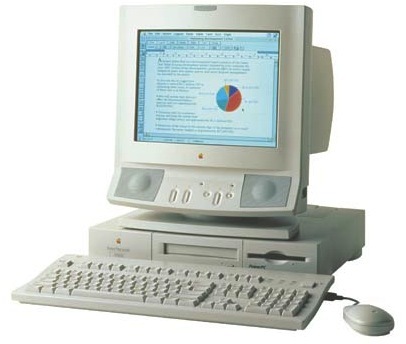 Introduced in March 1994, the PowerMac 6100 was the first Mac to be powered by a PowerPC processor. An optional AV configuration was available. The 6100 came in a Centris 610-style low-profile case, cost $1,700, and was replaced in January 1995 by the 6100/66 which upgraded the processor to 66 MHz. It was discontinued at the end of 1995. The 6100/66 DOS was also available, with a 66 MHz 486DX/2 processor card, and was discontinued in early 1996. The 6100 was also offered bundled with a monitor and various hard drives, as the Performas 6110CD, 6112CD, 6115CD, 6116CD, 6117CD, and 6118CD.